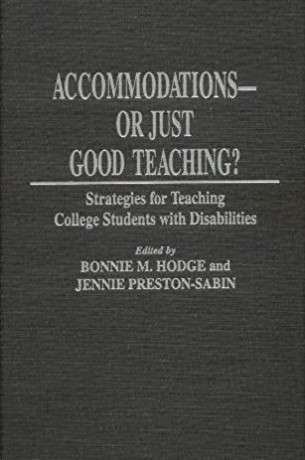 This is an excellent book for college professors, college students with disabilities, or people working with disabled college students. it explains the different accommendations available for these students, and what exactly the law covers. Definitely worth reading if you are a student planning to go to college and who have a disability.